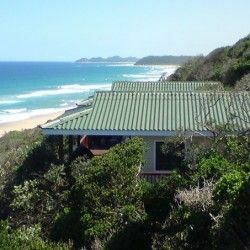 Boa Vida Estate comprises a number of lovely self-catering holiday houses in Ponta Malongane - each with sea views and individually styled and decorated according to owner's preferences. These self catering units comprise 2 bedrooms, a bathroom with shower (2 of the units have 2 bathrooms) and have a fully equipped kitchen, lounge and deck. Most houses can accommodate between 4-6 people (additional 2 children on a sleeper couch in the lounge area). The houses are positioned approximately 100m from the watermark and are built on a bank affording wonderful sea views from each of the units. 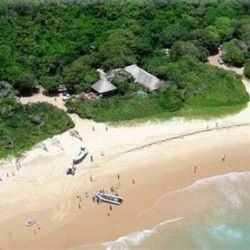 Many scuba divers and fishermen are attracted to this southern tip of Mozambique which offers a spectacular variety of sea life - from tropical fish to whales, whilst the inland lakes, forests and wetlands are great playgrounds for bird watchers, hikers and 4x4 enthusiasts. I feel that there could be some upgrades done. Bathroom mats very very old. Possibly some new bedding provided as it’s also very old, the one sheet was ripped and the duvet cover was stained but the staff were wonderful and the pool area is really spectacular. Comments: Double bed a bit worn! Great accommodation, superb view with a luxury feel. Thank you, the stay at Boa Vida estates was outstanding! The staff including the security were all very helpful and friendly. Yes we had an extremely nice time. Will definitely make use of you guys again.